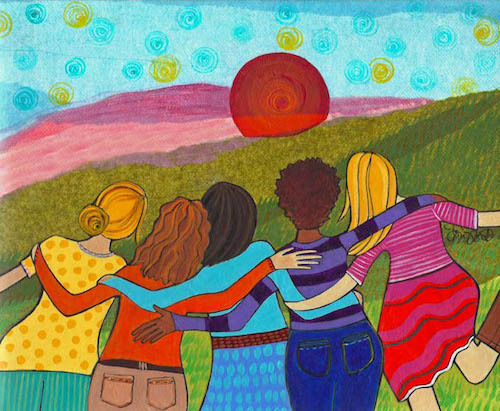 Become a Stepmom on a Mission-Join us! Longing to Express and Explore Your Emotions? If you’re feeling overwhelmed, judged, enraged or isolated in your situation, come to a place where it’s safe to share your feelings, tell your story, be treated kindly, get valuable insights and learn new skills so you can find your power in the stress you face as a Stepmom. Looking for Support, Ideas and Some New Skills from Stepmoms Who Truly Know How You Feel? At SMOMS we want every new member to experience feeling known—it’s an important and amazing feeling. Once you’ve had a chance to tell your story (if you want to) and feel understood, experience has proven that you’ll probably feel renewed enthusiasm for creating change in your life. We believe becoming more self-aware (conscious) of what we’re feeling (and why) is a big step toward feeling empowered. Here at SMOMS.org, In a space of kind, compassionate encouragement, we’ll help you find creative ways to reclaim your happiness, handle the upsetting actions of others wisely and nurture the relationship with your partner so the two of you can strengthen your connection as a loving team. The SMOMS Forum are FREE. Once you register and get activated, login and you’ll see the forums are organized by main stepmother topics, just like Cathryn’s book. The topics include Stepmoms dealing with personal growth and resentment issues, and relationships with their partners, stepkids and their stepkids’ bio-moms. Members (Sister SMOMS) can read, write and reply to posts in forums that are not view-able by the public. If you feel like you’re a Stepmom on a Mission and are ready for positive changes—Join us in any three ways! Work with Cathryn and Other SMOMS. Join (or Return to) SMOMS Community – Free for All! The updated forums are re-organized into thousands of searchable active and archived sections. Express yourself, give and get support, ask questions, get answers, problem-solve and feel excited about being a Stepmom on a Mission. Click here to be taken to the Forums. See upper right corner to Create a New Account. You’ll receive email notification of activation shortly. 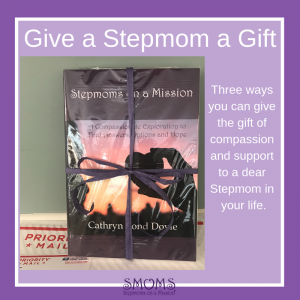 Get a copy of Cathryn’s Long Awaited Reference Guide for Stepmoms – Stepmoms on a Mission: A Compassionate Exploration to Find Answers Options and Hope. Available on Amazon now.